POLSON – A 44-year-old Ronan man faces a theft charge for allegedly selling stolen guns to a criminal informant. Brian Francis Charette was arrested Nov. 27 and held on a $100,000 bond. According to a court document, he sold 14 shotguns and rifles for $150 each on Sept. 22, which was substantially below market value. On Oct. 1, a sheriff’s deputy went to Charette’s home with a search warrant and found a .45 pistol in Charette’s vehicle, the court document states. He allegedly told the deputy that he was going to move out of the country despite facing a drug possession charge where he allegedly sold 2 grams of methamphetamine to a confidential informant on June 2. 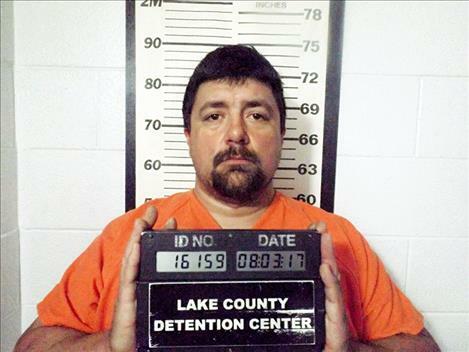 Charette pleaded not guilty to the theft charge in court on Dec. 6. His attorney Glen Neier asked for a reduced bond and noted that Charette was out on a $50,000 bond when arrested. Manley declined to reduce the bond. A separate charge of drug possession with intent to distribute was dismissed in September after Manley ruled that the evidence was collected illegally. In that case, deputies went to Charette’s property and did not knock or announce their presence before entering a garage or workshop, where they subsequently found 14 loaded weapons, 15 grams of methamphetamine, $2,011 in cash, bags of baggies and a digital scale. Two hours earlier, a confidential informant had entered a house on the property through means of a proper “knock and announce” procedure, Manley ruled.